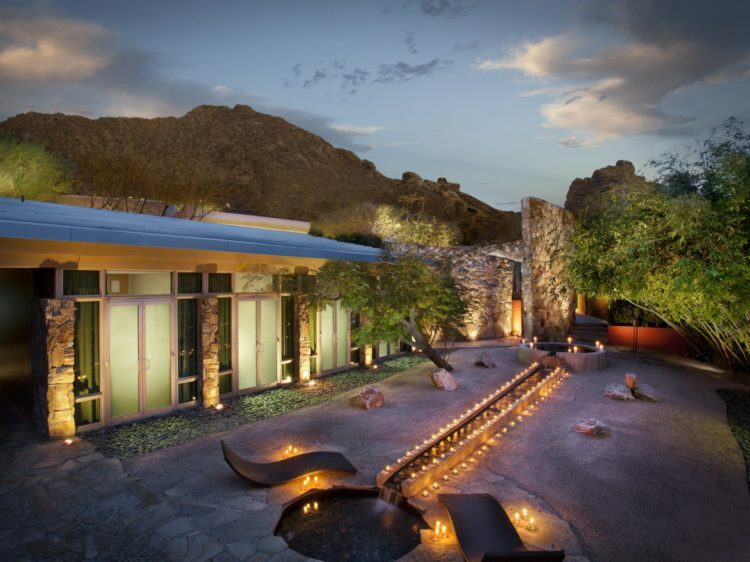 In honor of breast cancer awareness month this October, Sanctuary Spa at Sanctuary on Camelback Mountain is offering specialized oncology massages from trained Sensei therapists. “Sensei,” a term that holds tremendous honor and respect in the Japanese culture, is typically reserved for great mentors and teachers. The Sensei therapists at Sanctuary are a select group of practitioners who take a multi-dimensional approach to body work. Their holistic methods address mind and spirit in addition to the body, with on-the-spot decision-making to meet each guest’s emotional and spiritual needs. Each Sanctuary Sensei has passed rigorous training and certification exams, with no less than seven years’ experience in massage therapy and bodywork and at least five years of experience at the Sanctuary Spa. Other Sensei spa treatments at Sanctuary include the Golden Lotus Balancing Ritual, designed to balance guests’ Yin and Yang energy using powerful herbs during a wrap and full-body acupressure session, as well as the Sensei-led Soul Connect experience, which utilizes divinity cards, guided meditation, energy work and massage to align the physical, emotional and spiritual self. Sensei therapists are also conduct restorative consultations, customizing soul-centering treatments for guests facing life-changing experiences including illness, divorce or the loss of a loved one. For more information or to make a reservation, please call 480-624-8513.